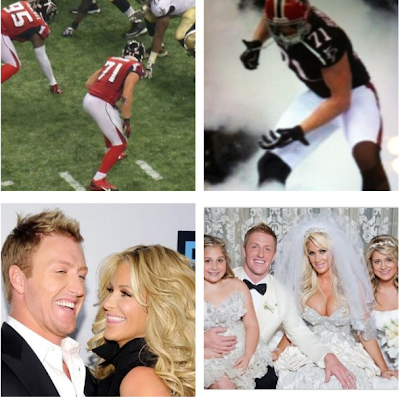 Yesterday, ex-Real Housewives of Atlanta's Kim Zolciak celebrated her hubby Kroy's birthday and posted the above collage on her Instagram page. Kroy has finally turned 28-years-old and will be a father of six children smh. Happy 28th birthday to the most incredible husband and father ever! We love you beyond words and are so grateful for you! We are so proud of you! Your dedication, commitment and love for our family supersedes anything I could of ever dreamed of! Can't wait to celebrate tonight! Happy birthday, Kroy! And don't forget, it's never to late to run far away from that money hungry heaux.